Flash Gallery Maker is an easy-to-use and powerful software used to create flash photo gallery, photo album, web album, photo slideshow, photo animation and photo movie and flash photo album and online photo gallery. This software is easy to use and able to make photo album and photo gallery in minutes just by some clicks. The user isn't required to master any Adobe Flash knowledge and Flash skills. Moreover, Flash Gallery Maker is a good supplementary tools for Adobe Flash, because it can make your own photo flash gallery and online web album easily and breezily with photo collections. Flash Gallery Maker creates XML-driven dynamic flash (SWF) slideshows. This SWF flash slideshow software requires little flash skills to create up nice flash slideshows. Simply with photos, music, and transition effects and flash slideshow templates that we have prepared for your easy selecting, you can make stunning SWF flash slideshows. This software also provides you with ability to customize and personalize flash gallery easily and simply, just by selecting transition effects and flash templates and adding text/hyperlinks/ art clips. 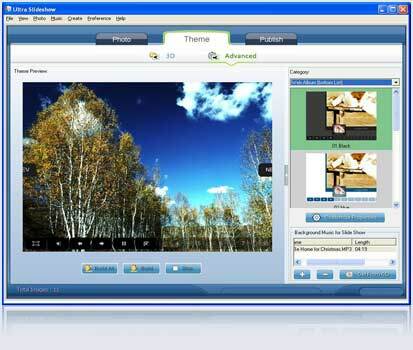 All these features make Flash Gallery Maker become a widely-used software to make flash photo slideshow. With Flash Gallery Maker, you can create gorgeous photo flash slideshows for watching on computer, burn the auto-run flash photo album to gift CD/DVD, build a web gallery with amazing flash slideshows with dynamic SWF + HTML + XML files, or upload the slideshows to our free web album Go2Album, and then embed the slideshows to your personal website, MySpace, Blogger, Friendster and many other social networking websites. Flash Gallery Maker is the photo album software that can be used to build photo sharing web album, art album, product gallery, news photo album, and many other types of photo albums. Flash Gallery Maker can create gorgeous photo album slideshows with music and transition effects, and lots of beautifully-designed templates. IHDP InHouse Digital Publishing Win/Mac - Digital Publishing Software Lifetime License- IHDP Page Flip Software Solution. Take PDF file and turn it into an online flip book fully customizeable with embedded audio/video, hyperlinks, and your own company logo for emailing and your website.